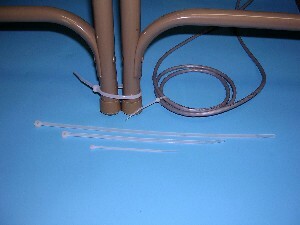 Tamper-resistant ties permanently secure cables, chairs, cords, bags, other loose items. Tighten and lock as needed. Won't stretch or slide. Black Ties are UV stabilized and suitable for longer-term outdoor use. Made in USA.